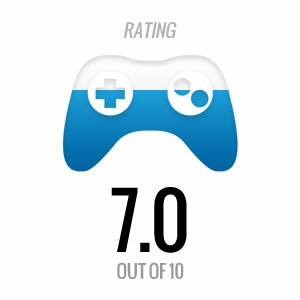 We’ve entered an age of gaming where “clone” is almost a dirty word. That’s a merit worth discussing in depth at another time, but it’s immediately relevant because of the nature of this game in particular. 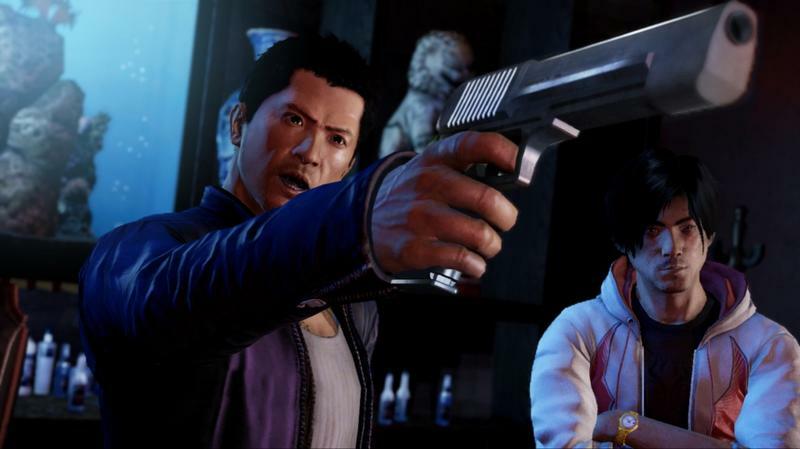 Is Sleeping Dogs more than just a clone of better games in properties? Or, does it crumble under the weight of those that gave it such tremendous inspiration. Quickly? Yes and no. Sleeping Dogs is a strong title well worth the attention of any interested gamer; but, it doesn’t get much better than simple fun. There was a lot of promise here. While it delivers on some of that hype, the rest is left feeling a bit half-baked. Punch punch, shoot shoot, Hong Kong style. Mechanically, the game is sound. The combat is top-notch for an open world experience, sharing mechanics with the Batman: Arkham series. Fighting is something you’ll actually enjoy, rather than see as the block between point A and point B.
Gunplay is good, too. While this third-person title doesn’t exactly sport crisp and rock solid shooting mechanics, what it does offer is actually fun. Shootouts are more aggressive than passive, and Wei will be able to vault over cover in order to activate slow motion for better aiming. The result of this slow motion twist makes Sleeping Dogs feel more action packed than it actually is. 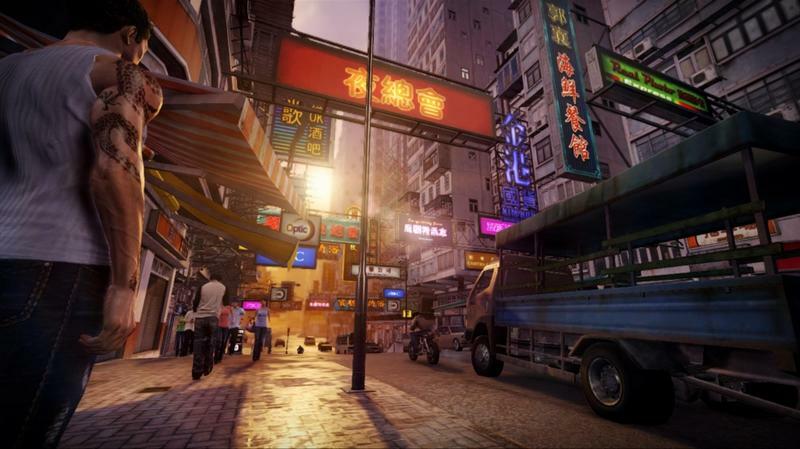 The whole game presents a classic Hong Kong action flick vibe. It’s not so wrapped up in martial arts that it feels like an open world fighting game; instead, it’s an experience that uses its mechanics to build up a fun ride. You’ll fight, drive, shoot and talk your way through the campaign and feel like you enjoyed a small measure of variety. Just as things start to get stale, the story’s over. I could have lived without the undercover cop plot line. One of the reasons I was most excited about Sleeping Dogs was the story it promised to deliver. Wei Shen was a cop meant to infiltrate China’s most dangerous gang in order to take it down from the inside. It’s a story that’s based in fantastic flicks like The Departed and Infernal Affairs. This I found quite promising. In a story about an undercover police officer infiltrating a crime syndicate, there needs to be a sense of hopelessness and fear present at all turns. The cop needs to appear to struggle with being a criminal, killing innocents has to be hard and the fear of getting too deep into the criminal underworld has to be constant. That’s not the case in this game. Killing people for Wei is easy. Being a criminal is easy. Stealing cars, joining in illegal street races, engaging in all sorts of illicit acts…they’re all too easy. Wei hates cops. He’s a cop, but cops are a constant, nagging force. In fact, the only certain enemies in the game are cops. The natural drive to fix evil for an undercover cop simply isn’t present in Sleeping Dogs. Were it a game about nothing more than Wei rising through the ranks of a triad gang, this tale wouldn’t be so convoluted. That Wei is actually a cop in disguise makes it exceptionally hard to swallow as plausible. Should you buy into this lopsided journey between right and wrong? While the game isn’t nearly as story-driven and contemplative as I hoped it would be, Sleeping Dogs is still a really great effort. The title was once as good as dead at the hands of Activision, so I’m really glad that United Front had an opportunity to share their effort with the world thanks to Square Enix. Truly, I had fun with Sleeping Dogs. But it isn’t perfect. This title takes inspiration from a ton of sources, but its own personality never really shines through. It could have been deeper, it could have been longer, it could have been more alive, but it just wasn’t. Sleeping Dogs is a fun game. If you’re looking for a fun game with no ifs ands or buts attached, consider this one. There are some glitches and awkward load times, but it’s a solid product overall. For my money, I’d wait for the price to drop a tad and dive in face first. It would be a beautiful game during a lull in blockbuster releases. We purchased a copy of Sleeping Dogs with company funds. We played the full campaign of the game and completed several sidequests before starting this review. The campaign alone took slightly longer than 10 hours.